I want to know why is a 30 days ban? 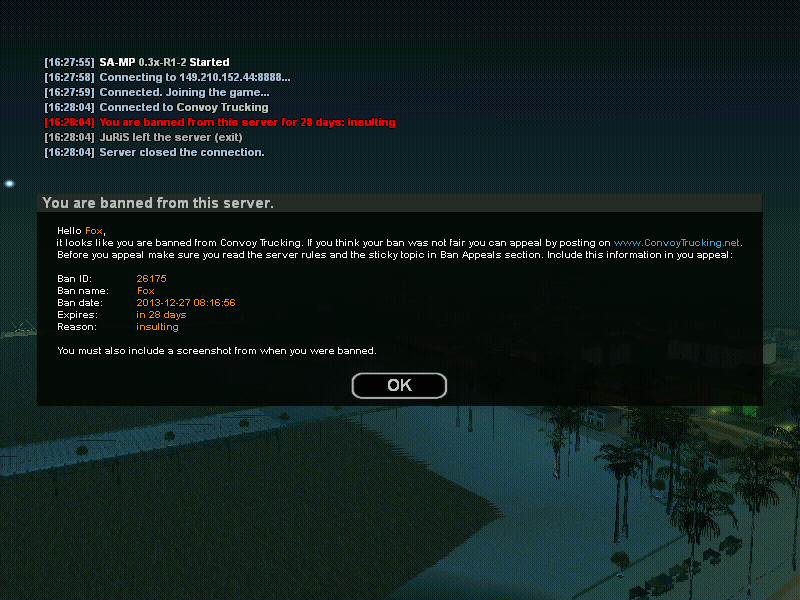 All i know what i do is insulting 2-3 lines in cb 19 (main chat) and i know that is warnable or 7 days ban, not 30. Not my friends allow to break server rules, konali said in one reply (that topic doesn't exist anymore), we are allowed to insult if it's a joke and in cbs, not in main chat.